Loch Kelly, M.Div., LCSW, is a meditation teacher, psychotherapist, author and founder of the Open-Hearted Awareness Institute. A graduate of Columbia University and Union Theological Seminary, Loch was awarded a fellowship to study forms of non-dual meditation in Sri Lanka India and Nepal from 1981-1982 and has since delved into a variety of disciplines under teachers from around the world. He studied Buddhism with Professor Lily de Silva at the University of Kandy, Sri Lanka, Insight Meditation with Godwin Samararatne and at the Theravada monasteries, Inter-Spiritual Contemplative Meditation with Fr. Bede Griffiths and Anthony de Mello, Advaita at Sri Ramana Ashram, and Dzogchen and Mahamudra Meditation with Tulku Urgyen Rinpoche in Nepal. Loch spent 10 years establishing homeless shelters and community lunch programs and working in a community mental health clinic in Brooklyn, New York. He also served as Coordinator of Counseling and Interspiritual Chaplain at Union Theological Seminary and worked extensively with families of 9/11 victims. As a licensed psychotherapist, Loch has been teaching seminars, supervising clinicians and practicing awareness psychotherapy in NYC for 25 years. He served on the New York Insight Teachers Council and was authorized to teach Sutra Mahamudra by Mingyur Rinpoche and invited to join with Adyashanti to teach direct realization of your true nature. Loch has collaborated with neuroscientists at Yale, UPenn and NYU in the study of awareness training can enhance compassion and wellbeing. Loch teaches in a non-sectarian human being lineage in an adult education style based in the earliest non-dual wisdom traditions, modern science and psychotherapy. Loch is grateful for all his teachers and loves to share from his own experience that has given him great joy, freedom and love. He offers group awareness training, workshops on effortless mindfulness and heart mindfulness, retreats, and individual pointing-within instructions. He is the founder of the non-profit Open-Hearted Awareness Institute, is part of a national 501 (c) 3 Public Charity. Loch currently resides in New York City with his wife Paige and their cat Duffy. Awakening can be the natural next stage of human development. Awakening is not a rare event limited to those who leave for the monastery or cave. We can awaken in the midst of our daily lives by discovering what Loch Kelly calls “open-hearted awareness.” For the past two decades, this innovative psychotherapist and meditation teacher has been helping people from every background learn how to access a spacious, natural way of living in tune with a deeper truth. 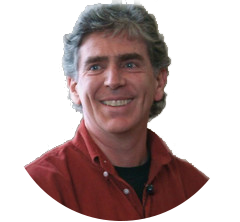 Shift into Freedom presents Loch Kelly’s original synthesis of ancient wisdom, modern psychological insights, current neuroscience research, and unique awareness practices for the body, mind, and heart. Written for both first-time and lifelong meditators, here is a training guide filled with simple and effective experiential tools for “unhooking” awareness from our chattering minds and dropping into our awake heart space, expanding our sense of intimacy and interconnection, and embodying inner peace, clarity, and love.Read Excerpt Here!